Waste not, want not. Let’s ban single-use products today! nathaniel schachter, co-founder of N/A inc.
#BanSingleUse is a mini-movement that will have maxi-impact in the world. A unique innovation created at N/A inc.
It’s time to stop using anything that has a single use. Together, we can apply this super-simple approach to – what i call – micro-conservation to contribute in a major way to both environmental protection, as well as corporate change in terms of output and direction. Let’s come together to ban all things in our daily lives that have a mere single-use application before they’re thrown in the trash. In other words, if there are things that we use that are one-and-done, like straws, disposable cutlery, cups, or packets of sugar, etc., let’s pledge to stop using those things in our day-to-day. Best part is, it’s really easy. I started practicing ‘#BanSingleUse thinking’ at the beginning of 2017, and have drastically reduced my use of single-use stuff for nearly a year. It was challenging at first, but then once my reflexes began to change, it got fun. My plan is to avoid single-use stuff for the rest of my life, whenever possible. Let’s take water as our starting point: when you go to the water cooler at work to fill up a plastic cup, reach for the porcelain mug instead of the plastic cup, or bring a favorite cup or thermos or water bottle from home. Boom! Done. As a concrete call-to-action, I dare WeWork – one of my favorite new-market start-ups – to do away with the massive amounts of plastic cups with which they generously provide their community members and replace them with more of their sleek black mugs. Win-win! Cost saving measure for the corporation, waste-reducing measure for good ol’ Mother Earth. A lil math: assuming a 5 day work week, and a 50 week work year (should be 48 but that’s another article! 😜), and a cup of water at work per day, which is probably on the low side = you just saved the world 250 single-use plastic cups ending up in the garbage or recycling system per year! Massive savings of plastic waste potentially going to the landfill. And a massive reduction of plastic cups needed to be produced – plus the energy waste and petroleum usage – all because of you! And then imagine this move at scale, all over your city, state, country and world! All because of something you opted out of, not as a result of having do any additional thing or make any big sacrifice. Same thing for sugar, salt and pepper packets. Let’s ask our places of work, and preferred restaurants and cafes to offer glass shakers instead of little packets. Bam! In one shot we eliminate all that paper waste from single-use rituals – like adding some sugar to our morning coffee – and replace it with a much more sustainable, multi-use, forever-solution. We still get what we want, but in a much more efficient way. Next let’s look at straws and swizzle sticks. This could be a real international game-changer. First: straws. Here I’d like to ask everyone a kind of controversial question: do we really need straws in the first place?? I mean, who really cares about straws!? Can we not just drink our drinks with our mouths? Straws may have been a fun, novel way of drinking when Marvin Stone invented them in the 1880’s, but today they just represent a useless – albeit fun and convenient??? hihihi – way of drinking. Screw straws. And ta da! Again! We just saved a trillion tons of plastic single-use waste items (not an empirical data-point lol) just like that! What about those silly wooden swizzle sticks. We use them once, throw them away, and who knows how waste management companies treat wooden garbage in the end? Why are we cutting down trees and pillaging forests to make single-use swizzle sticks to stir our cups of tea for 3 seconds? Let’s ask our places of work, and favorite cafes to replace these wasteful items – that actually cost THEM quite a bit of money – with forever-items like metal spoons. A bit more of a cost on the front-end for offices and cafes, but very soon after purchase, these businesses will begin to save money in the mid- to long-term. Please don’t go thinking all of this won’t have enormous impact. It will. If one person practiced #BanSingleUse for a year, he or she would save pounds and pounds of accumulated waste! So imagine this move at scale – city, state, national, international – and then do the math to compute how gigantic this little step would be in waste reduction and environmental savings/protection. Let’s also examine what this will result in from a corporate standpoint. Once we all come together to #BanSingleUse everything, our corporations, which, to a large extent, follow what we tell them to do, will respond by making fewer single-use things, and more multi-use or forever-use things. It’s just what corporations do — listen to what we, the lowly consumer, tell them we want, and then go and make a billion of them. Case in point: just look at those ridiculous fidget spinners that got globally popular for a second (yes, I’m calling it, they’re officially over). For the last century, this corporate+consumer behavior of demand and supply had led us to some pretty scary places, but we can start deploying our consumer power in new ways to push corps. in better directions. Remember! : vote with your dollars and vote with your choices! Sometimes it’s not what you do, but what you don’t do, that makes huge things happen. So next time you’re reaching for that plastic cup at the water cooler at WeWork, just reach instead for one of those cool black mugs. And next time you’ve washed your hands, instead of pulling a few sheets of paper out of the dispenser, think #BanSingleUse, and head over to the hand dryer. Let’s come together and #BanSingleUse and we’ll make a massive impact with a small little adjustment. Help me build this into a huge and very easy mini-movement. It’s little steps like these that can change the whole game for good! 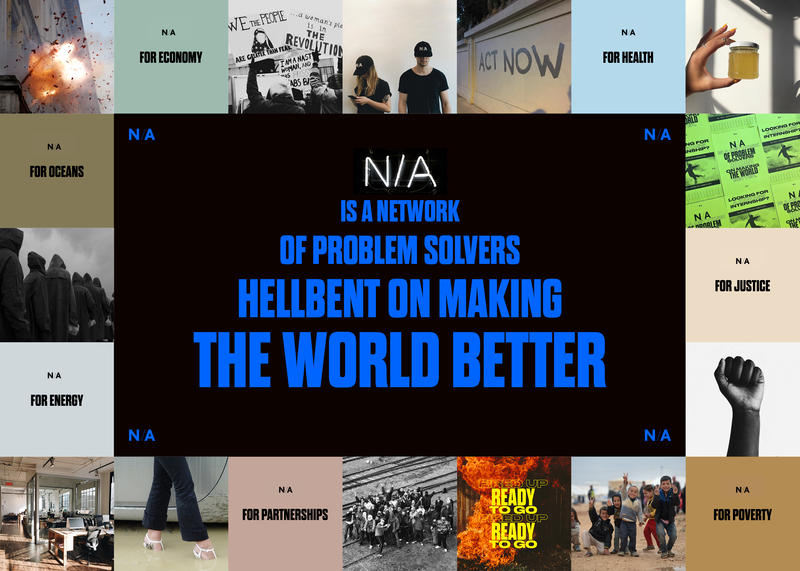 Nathaniel Schachter is a proud contributor to Thrive, and co-founder of N/A inc. a company focused exclusively on social impact innovation across industry. co-founder of N/A inc. a company focused exclusively on social impact innovation across industry. past lives at v magazine, saatchi, sid lee.